It’s been a long time coming, but I’m now revising Empowered: Rebel, and will be sending it off my beta readers shortly. Wrapping up The Empowered series has been a journey in itself. Mathilda has come a long way since Renegade, when her sixteen-year old self first discovered her superpower and tried to run away from the world. She spent five years in Special Corrections working to keep her nose clean and be paroled. 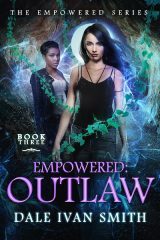 Paroled on her twenty-first birthday, she wanted nothing more to do with the Empowered, but of course, the world wouldn’t let her live a normal life. 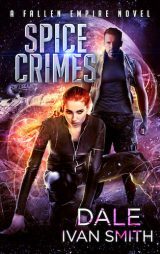 She was maneuvered into working for a secretive government agency and ordered to infiltrate a dangerous super villain group. Now, in the final book, she learns the truth behind the Empowered and the source of super powers, and fights to save her friends and family and the world itself. 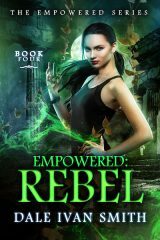 Empowered: Rebel will be released on June 20th. Along with that, I’m writing “Dynamo,” a short story about Alex Sanchez, one of Mat’s controllers in Support who becomes much more over the course of the four novels. 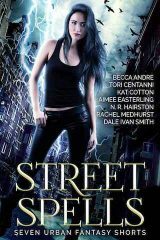 After this will be my new urban fantasy series, as well as a novel about Zoe Steele, the “almost ex-super villain” of my flash fiction story, “Coffee Shop Crisis.” I’ve received many emails and comments about my writing more about Zoe. I surveyed my reader group a little back about this and the majority of respondents want to read a novel about her. Recently I polled them about titles for the novel. An Almost Ex-Super Villain was 1st with 36.7% of the vote. “None of the above” came in at 2nd w with 22%. Her Super Life was 3rd at 15%. So, it looks like An Almost-Ex Super Villain will be the title! Do you like that? Let me know in comments. Congratulations on finishing your series! That’s a huge accomplishment! Can’t wait for Rebel to come out! I love Mat and her movie. Keisha is a fine addition to the series. Keep up the great writing but the editing needs to be better to rank with Sanderson, Jordan and Asimov. But your storing telling ranks up their with the best. Good luck! Thanks for reading, Johnny! I’m glad you’ve enjoyed Mat’s story so far. Hope you enjoy Rebel, too.